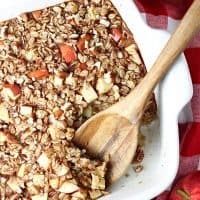 APPLE SPICE BAKED OATMEAL — This warm, hearty baked oatmeal comes together in a snap with ingredients you probably already have on hand. The perfect way to start the day on a chilly fall morning. 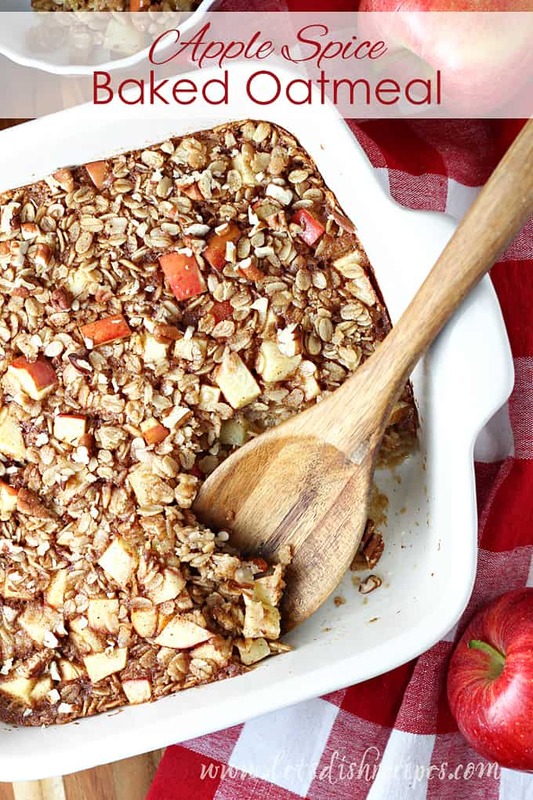 My friend Beth recently share this baked oatmeal recipe on her Instagram account, saying it was one of the most universally loved recipes in the history of her family. Well, when people make bold statements like that about a recipe, you can bet I’m going to give them a try. And I (and my family) were definitely not disappointed in this warm and hearty breakfast. 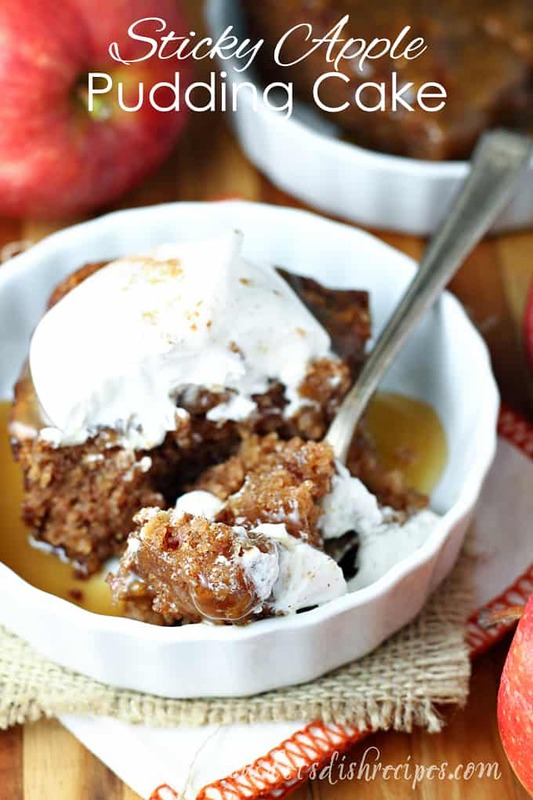 I’ve tried several baked oatmeal recipes in the past, but if we’re being honest, they were really more like cake. Not that I’m complaining…..but I really loved that this was actually oatmeal. I also loved that I had everything I needed on hand to make it, and it just took a few minutes to mix it all up and put it in the oven. Twenty minutes later, breakfast was served. I had apples handy, so that’s what I used. I suppose I could have peeled them, but I’m too lazy for that. Beth says she often makes it with apples and bananas, or (and I can’t wait to try this) fresh peaches. I’m guessing this oatmeal would be amazing with all kinds of other fruit too. I’m planning to try a blueberry version soon. After I try it with peaches first. I poured a little milk over my bowl of oatmeal, because that’s how I usually eat oatmeal. The rest of my family just ate it right from the pan, with a few toasted pecans sprinkled on top. 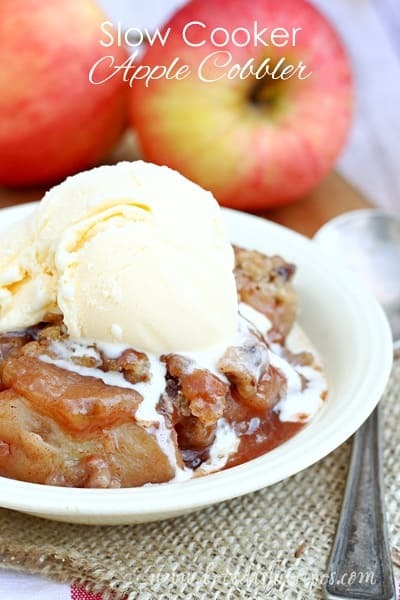 I added a few extra spices to the original recipe, because I thought they’d be a great accompaniment to the apples. That’s the great thing about this recipe. 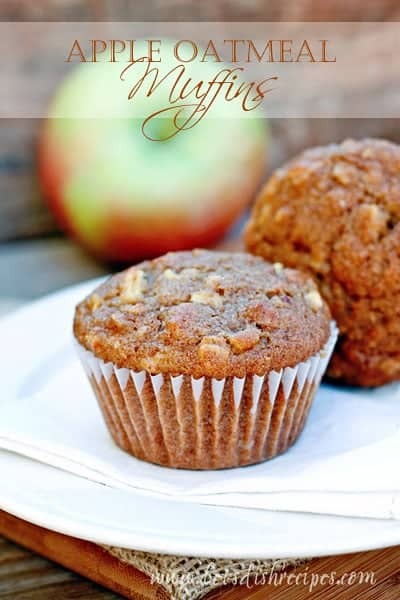 You can easily adapt it to suit your tastes, or whatever fresh fruit you have on hand. Needless to say, I don’t make hot breakfast very often, so my family was thrilled with this warm, cozy start to their day. I’m confident this oatmeal will become a beloved recipe in our family too, and hopefully yours as well! 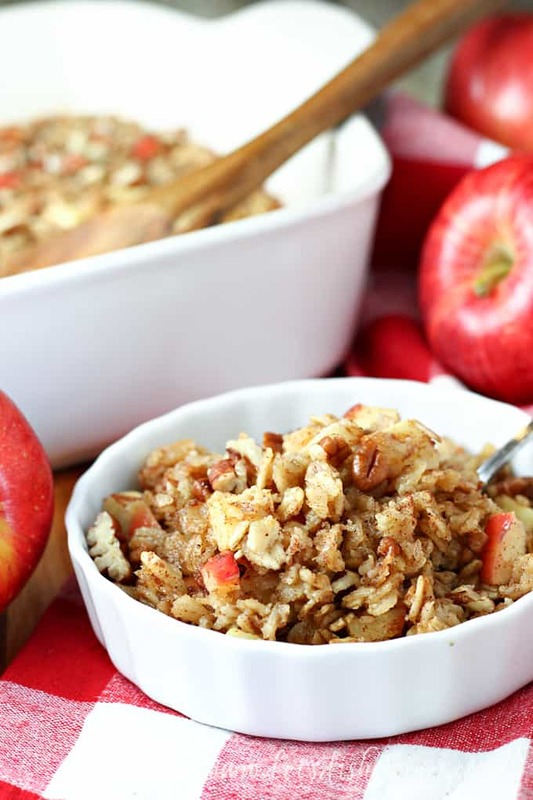 Be sure to save this Apple Spice Baked Oatmeal recipe to your favorite Pinterest board for later. This warm, hearty baked oatmeal comes together in a snap with ingredients you probably already have on hand. The perfect way to start the day on a chilly fall morning. Preheat oven to 375 degrees. Lightly grease an 8 or 9-inch square pan. In a medium bowl, mix all ingredients except nuts until well combined. Pour mixture into prepared pan. Bake for about 20 minutes, or until firm. Spoon into bowls and serve with chopped nuts and/or milk, if desired. Who Dished It Up First: My friend Beth. That looks amazing to me! I’d have that for breakfast everyday.